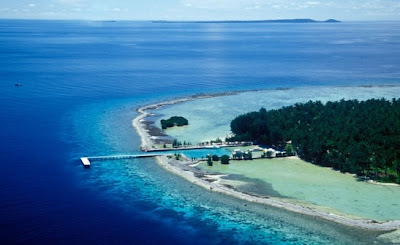 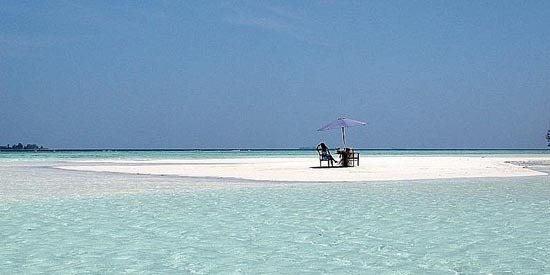 Karimunjawa island including the beautiful islands in Indonesia are located in Jepara district. 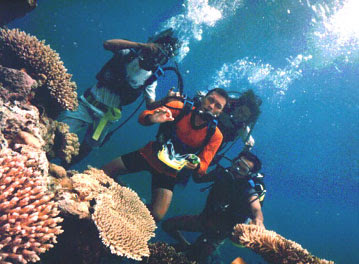 Publications included in the district of Jepara, Central Java, namely on the north coast of Java Island. 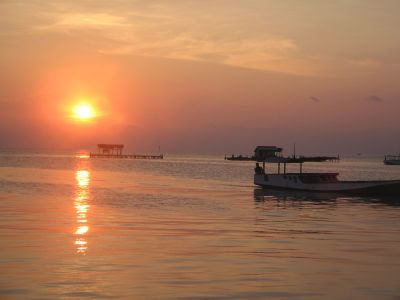 The islands also have been designated as National Park.Karimunjawa is the archipelago in the Java Sea are included in the district of Jepara, Central Java. 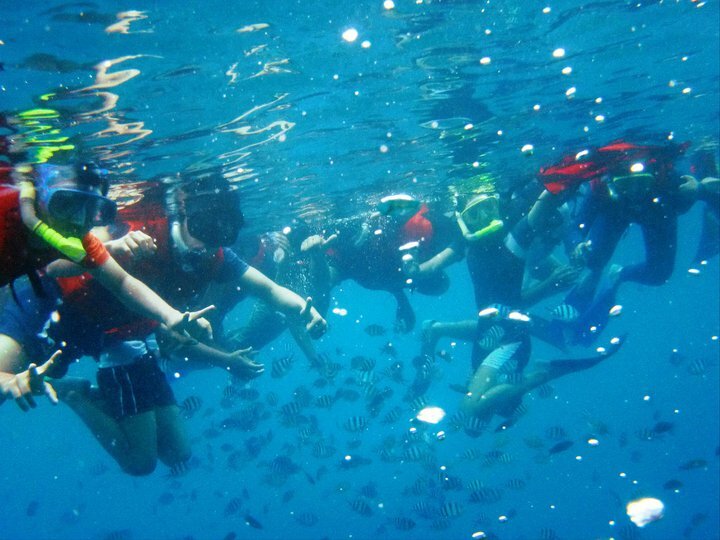 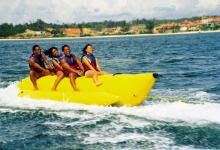 With an area of ​​±1500 hectares of land and waters ±110.000 hectares, has developed into a fascination Karimunjawa Marine Park tour that began much-loved local and foreign tourists. 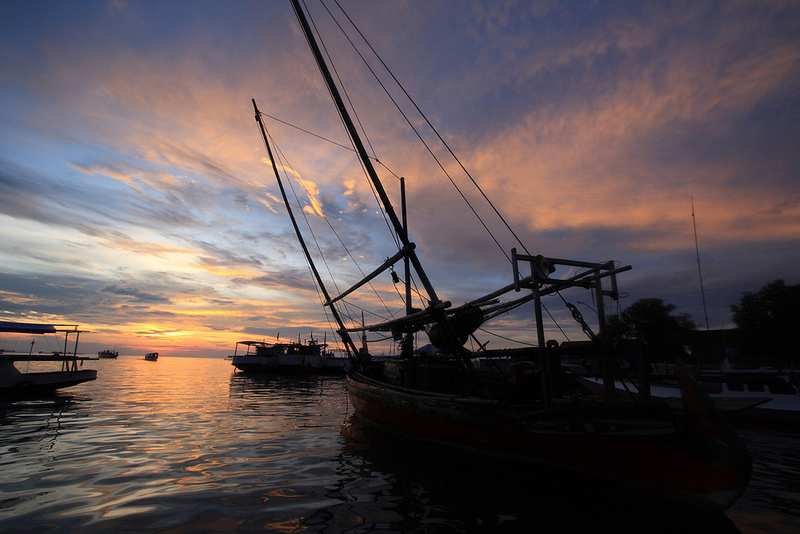 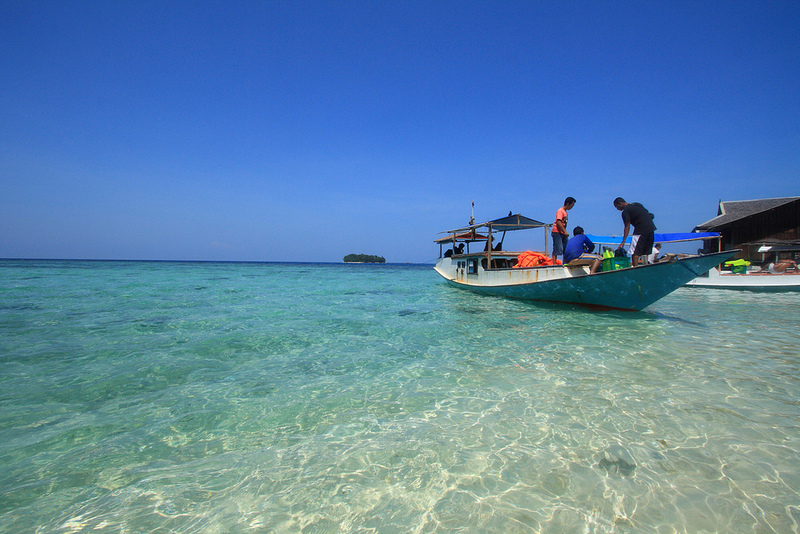 Based on the legend that circulated in the islands, the island of karimunjawa was discovered by Sunan Muria. 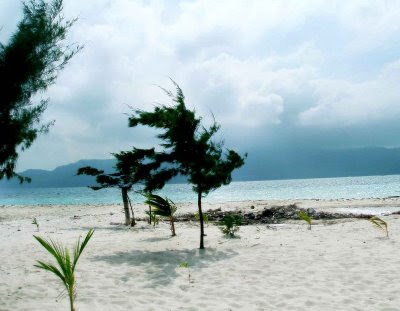 The legend tells of Sunan Muria are concerned about the mischief her son, Amir Hasan. 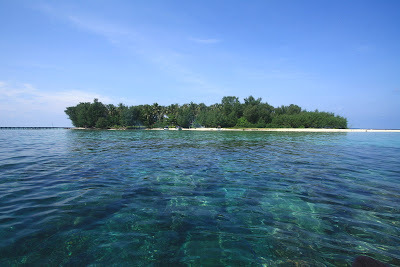 For the purpose of educating, Sunan Muria then ordered his son to go to an island that appears "kremun-kremun" (blurred) from the summit of Mount Moriah for the child can deepen and develop the science of religion. 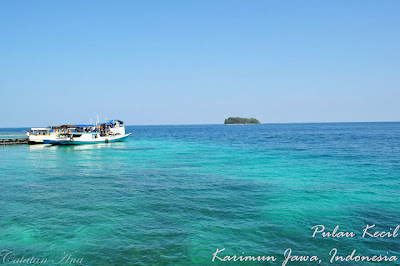 Because it appears "kremun-kremun" then called the island of Karimun Island. 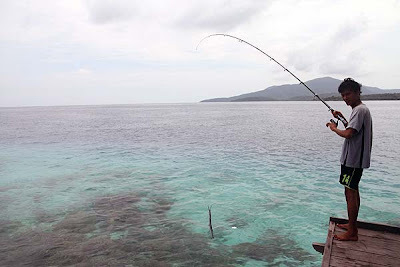 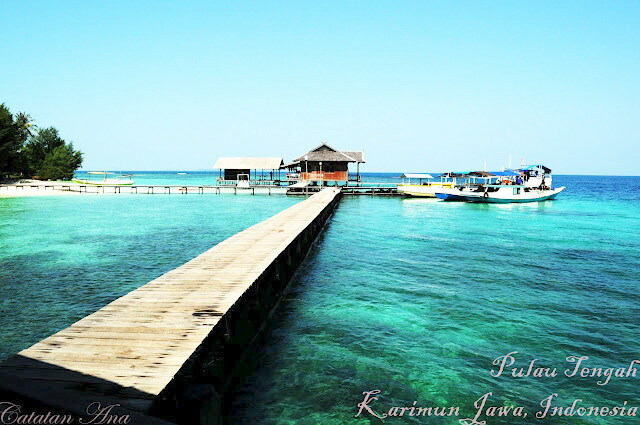 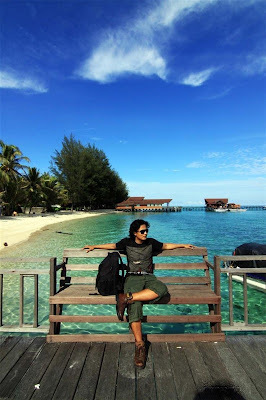 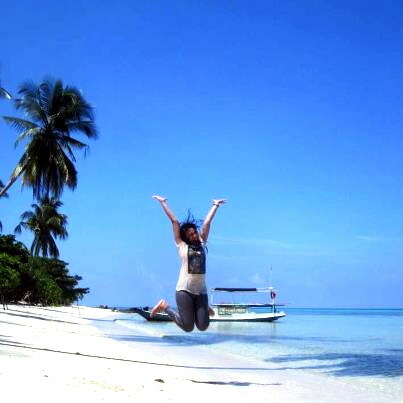 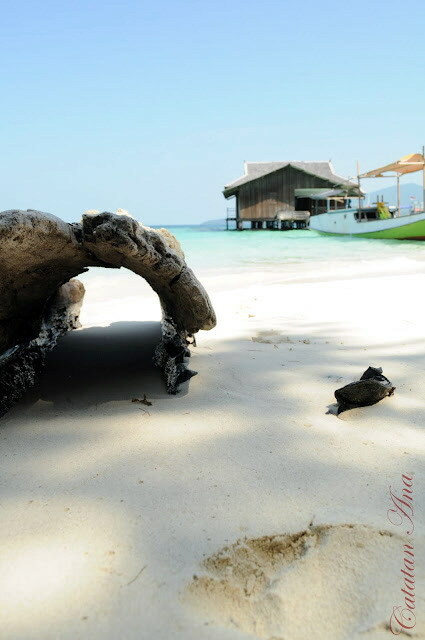 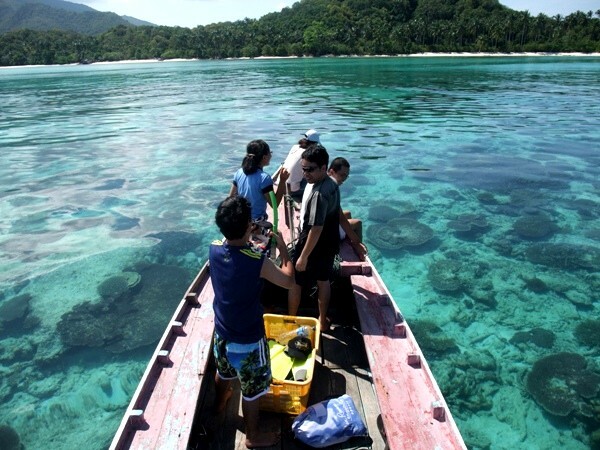 Since March 15, 2001, Karimunjawa set by the government of Jepara as a National Park. Publications are home to coral reefs, mangroves, coastal forests, and nearly 400 species of marine fauna, including 242 species of ornamental fish. 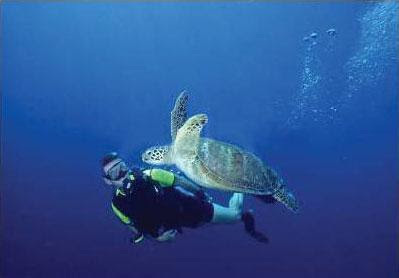 Some of the rare fauna that berhabitat here is the sea eagle and white chest, hawksbill and green turtles. 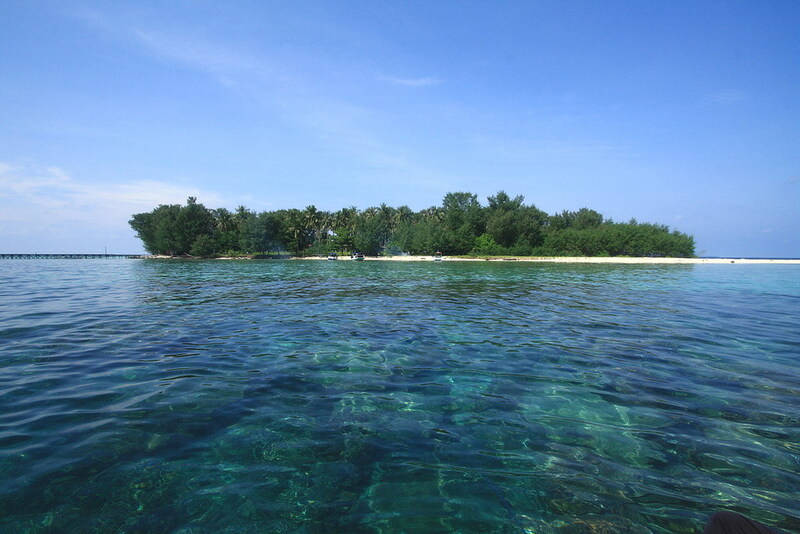 Plants that became the hallmark of the National Park Karimunjawa dewadaru (Crystocalyx macrophyla) contained in the lowland rain forest. 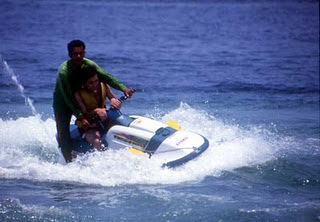 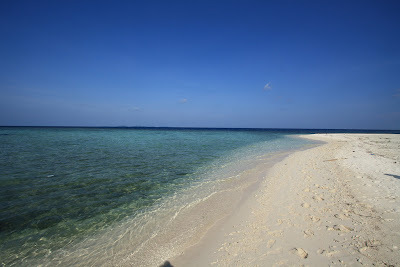 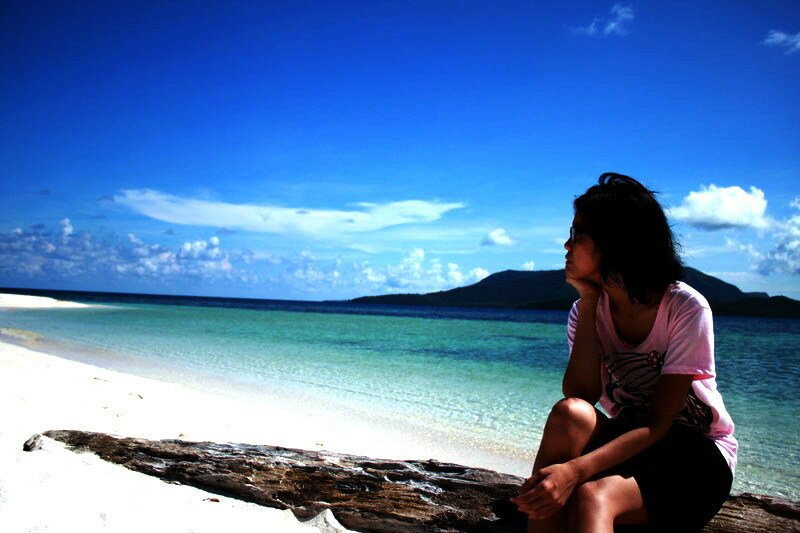 Waves at Karimunjawa is low and tame, mostly limited by the beach is fine white sand beaches. Sport diving. 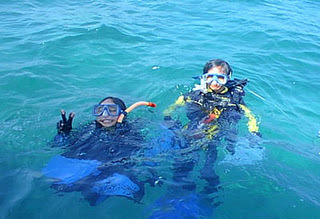 For those who like to dive to distribute hobby spot dive dispersed in various dives waters. Bathing beach and bask suitable for large deer island of white sand and a small pine islands. 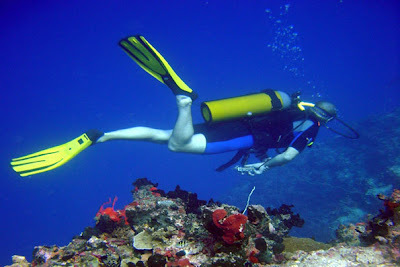 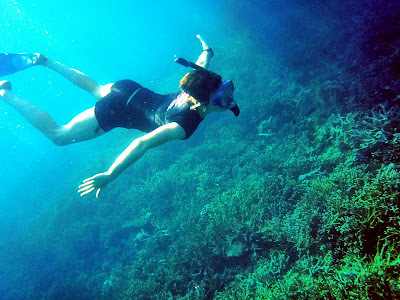 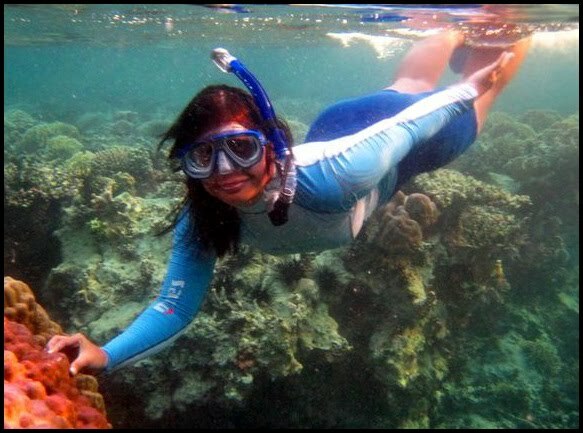 Snorkeling at various points that provide views the Indonesia Exotic Tours Of Karimunjawa Beach underwater very impressive. 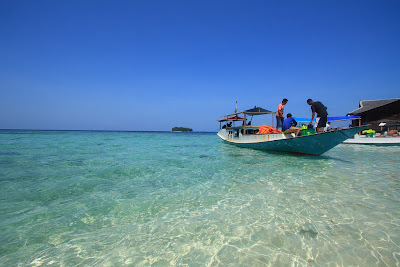 Glass Bottom Boat. 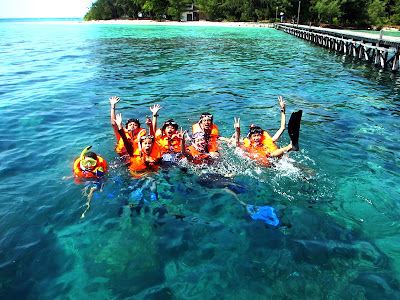 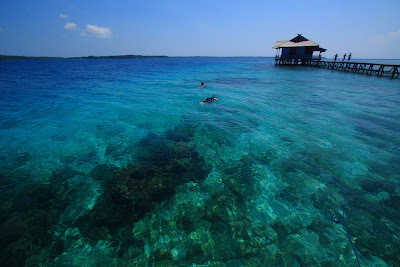 For those who can not swim can enjoy the beauty of Karimunjawa Beach underwater with glass bottom boat. 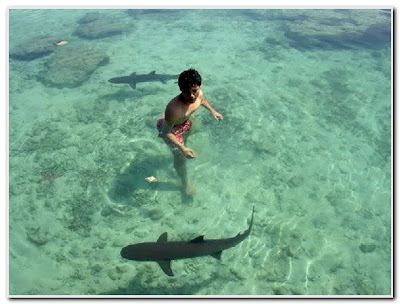 Captive breeding of sharks. 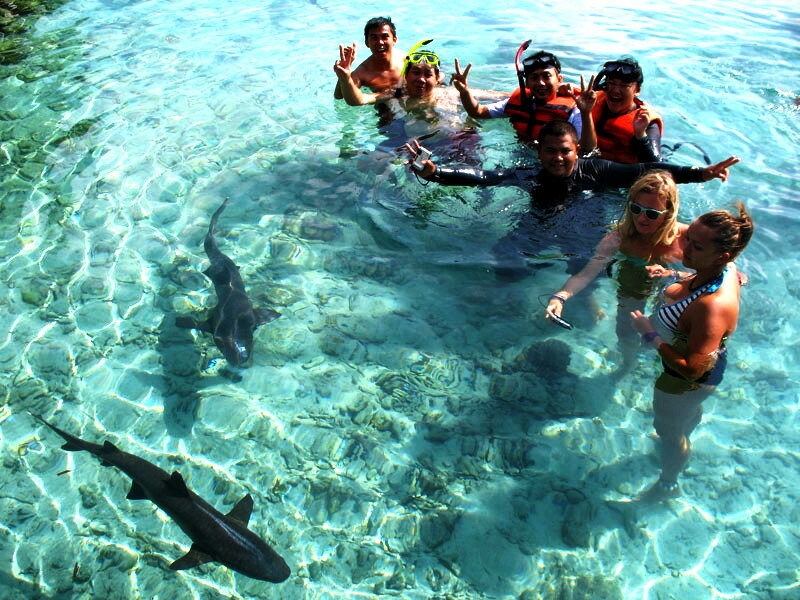 Trying to feel "Fear factor" That is a joke with sharks can be enjoyed in Karimunjawa Beach.